Live Stream Video Estimates Make Your Move Simpler! Normally, the natural part of hiring a moving company would be to have a moving specialist come to your home and take a tour with you to discuss your needs. While that hands-on approach is valuable and still relevant today, there is an even easier way. You can now schedule a live stream video estimate for your move with a moving expert! 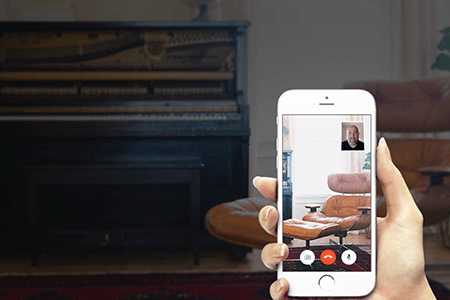 No need to host anyone in your home—our staff will send you instructions detailing how to install the live stream video software. There are so many benefits to getting a video estimate for your move, we almost don’t even know where to start. Video survey estimates make it extremely easy to schedule. You won’t have to set aside a two-to-four hour block of time to have an estimator over to your house. For average-sized homes (3 bedrooms), getting a live video quote takes just a little over an hour! That’s a huge time saving that translates to more time with your family, more time to plan and less time scrambling to finish preparing for our move at the last minute. The video estimate is also especially useful for those moving on short notice, who might not be able to schedule a date for an estimator to come to their home or cannot spare the time before their move. The live stream video estimate process isn’t just limited to simple moves in small homes. Video estimates are great for large home moves, and they can even estimate complicated moves that require short- & long-term storage, multiple delivery locations, packing services and home protection. Just make sure to discuss any special services that you are interested in during the quote process so that the estimator can get the most accurate free moving quote for you. 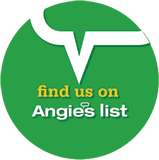 If you’re not sure whether you can schedule a video moving estimate for your move, just give us a call at (844) 913-2629 or fill out the contact form on this page! No two houses are alike. Not even in the suburbs. That’s why it’s vitally important to get a mover into your home to understand what your home is like, how large or how small the doorways are, where the stairwells are, parking issues and many more factors. That’s why we always recommend an in-home estimate or a video estimate instead of a simple phone estimate. Your service will be better & your move will go more smoothly because of the video move survey, and you will save money in the long run with no unexpected costs on delivery day. Schedule a Live Stream Video Estimate Today! There are tons of advantages to doing a video estimate when your next move comes. It’s more convenient, shorter, just as accurate and it works for nearly every kind of move! If you already have a move date in mind or even if you’re just in the early planning stages, schedule your estimate today. There are tens of thousands of long-distance moves that take place each year. Many of them have differing origins and destinations, like someone moving from Cleveland to Detroit; different reasons for moving, like starting a new job or the first semester at college; and then there are all the different types of moves, like commercial relocations, senior citizen moves and specialty moving services. What almost all of these long-distance moves have in common is that they involve moving from state-to-state, with the exception of long distance moves that occur within some of the larger states like Texas and California. When moving companies examine these overall interstate moving trends, they can often get insights into peoples moving habits that they can use to create a better long distance moving experience with their customers. Doing this requires a large amount of data, for this study that data comes from the American Moving and Storage Association (AMSA) and tracks over 150,000 long-distance moves across the country. We were able to show, state by state, how many people moved, how far they traveled during their move and how much stuff they brought along for the ride. The data is interesting and can give you an idea of what the moving trends are like in your neck of the woods. Click anywhere on the map above to find out more. Throughout the U.S., thousands of people make long-distance moves to and from various states each year. Many of those are people moving from or moving to Toledo, OH. These relocations can tell us a lot about how folks are moving around the country and how we can serve them better, so we wanted to take a closer look. 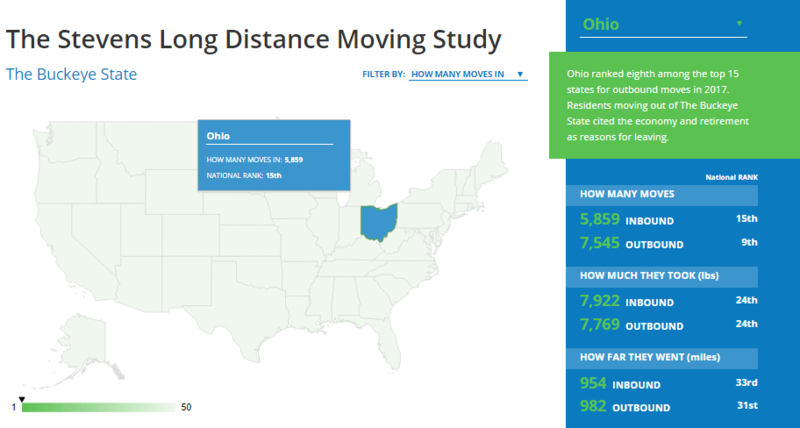 With some helpful data from the American Moving and Storage Association (AMSA), we were able to put together a nationwide long distance moving study from a sample size of over 150,000 state-to-state moves. Our study shows on average where people moved to, how far they traveled to move there and how much they took with them, and it covers almost every state in the country. Click anywhere on the interactive map above to learn more about how the rest of the country is moving around. *Due to the nature of the study covering distance driven for state-to-state relocations, data for Hawaii is not available. Total in the Western region, the most in the U.S. Whether you’ve got a business or office that needs to relocate, a family that’s preparing for an out of state move or you’re a recent college grad preparing to step out on your own, having a reliable long distance moving company to help you get set up in your new home is vital, no matter where that home is. Make sure they cover all potential long distance moving needs, from offering short and long-term warehouse storage to interstate vehicle shipping, to providing a dedicated long distance moving coordinator and anything else you might need. It is important for you to do research on your prospective moving companies and your due diligence will pay you back when your moving day arrives. When it comes time to move your family and all of your possessions, you want to hire a moving company you can trust to perform the job well. 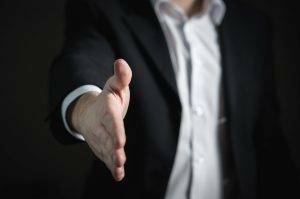 If you hire the first mover you find, and don’t research how reputable they are, you may be doing yourself a disservice by not finding the right mover for you. It is important for you to do research on your prospective moving companies and your due diligence will pay you back when your moving day arrives. Hiring a moving company without industry experience isn’t what you want to do when it comes to local or long-distance moves involving moving your home or office. Here are some helpful tips that will aid you as you screen the potential moving and storage companies for your move. Does the Moving Company Also Provide Storage? When you relocate to a new home or apartment, you may find that your new place doesn’t quite have the space for all your items. If you are moving to a smaller living space, you may want to find a moving company that also provides storage. Being able to have your moving company pack, store, and move your items can help save time, money, and hassle for you or your business. Does the Moving Company Provide a Free Estimate? An online or over the phone quote can be a good starting point for planning your moving budget, but a video survey will provide you with a much more accurate estimate. No one likes surprises when you hire a professional to perform a job for you or your business. Understanding this is why a reputable moving company will do its best to provide an accurate quote. See if the mover you are looking into offers free video surveys. If they do, it is a huge plus in terms of the value they are offering. Make sure you read the valuation the mover provides on their moves. Movers are required to include a basic level of protection but may also provide additional coverage options at a cost. The moving company you hire should have a good reputation and be accredited with the Better Business Bureau. Hiring a smaller company that doesn’t belong to highly recognized moving organizations and isn’t an accredited business can be risky. Some highly-recognized industry associations include the International Association of Movers, the American Moving & Storage Association, and the Ohio Association of Movers. The Better Business Bureau will be able to show any reviews and complaints people file with a company, making it visible what kind of reputation the company has. The Better Business Bureau has provided the public with honest accounts of companies’ customer service records for over 100 years. A reputable moving and storage company will employ individuals only after a rigorous screening and background check. This is important because you are hiring professionals to move your family’s belongings or your company’s commercial assets. How Long has the Moving Company been Around? When you go to the doctor, you don’t want to be the first patient that physician has ever treated. The same concept applies when you are hiring a moving company. Find a mover that has experience in the moving and storage industry, not a small operation that is just starting up. When it comes to your family’s belongings or your business equipment, it is paramount to find a reliable mover with years of experience. When it comes to moving with a pet, we know how important it is for you to keep that pet safe and happy. We’re pet lovers too, so we know that your dog, cat or any other pet you have at home is a member of your family. We understand that your pet’s comfort and quality of life means a lot to you, that’s why we want to help you take good care of your pet during your move. There’s no end to how much joy and fulfillment people get from their pets, which is why you’ll want to make sure that your move is as smooth for your pet as it is for you. Schedule a trip to your pet’s veterinary clinic about two or three weeks before your scheduled moving day. We know that this probably isn’t your pet’s favorite place in the world, but it’s important to make sure that you get in one last check up while your pet is still in a familiar environment. That way if something in your pet’s mannerism does change it will be easier to determine whether it’s health related, or just part of the move. Also, be sure that you have your pet’s medical records and any prescriptions they need before you move. All of this is especially true for people who are moving long distance and don’t know who their vet will be in their new home city. If you can, see if your vet can refer another good animal clinic in your new hometown. Getting this out of the way early on is one of the best things you can do for your pet. During your move, it’s important to remember to keep your pet busy and occupied. Planning your move, coordinating with the moving crew and getting things loaded up will probably take all your attention, so it’s best if your pet has something else to do. If you own a snake or goldfish, this likely won’t be a problem but for dogs and cats, it’s usually best to have someone keep an eye on them while you’re moving. This is especially true if you plan on using a professional moving crew. With all the unfamiliar activity and a moving crew in your home, nervous animals can easily sneak out the door unnoticed on moving day. Having a pet-sitter or utilizing a local pet hotel may be what’s best for everyone. No matter how you’re completing your move, whether it’s DIY or with professional movers, your pet should definitely ride with you to your new home. It can sometimes be hard to remember that they are not human, and therefore cannot rationally adjust to new settings like we can. In order for a pet to adjust, they must experience something first hand and they need you close by to help assure them that everything is ok. So make sure you have your carrier or container in the vehicle that you will be traveling in to make the transition easier on your pets. We understand that your pet’s comfort and quality of life means a lot to you, that’s why we want to help you take good care of your pet during your move. If you’re moving a long distance, it’s important to note that the rules and regulations for pets may be different in your new hometown or new building if you’re moving into an apartment. You should make sure that you understand the laws and guidelines for pet ownership wherever you live. Check the rules and regulations before moving your pets. This is another reason that you should go to the vet before you move. While moving, you may need to bring certificates with you showing that your pet has had the proper inspections and vaccines. State rules. Each state has their own laws and regulations for pet owners. There are many websites, such as AnimalLaw.com, where you can look up state specific legislation regarding pets. Local ordinances. Make sure you’re aware of local laws by checking with the City Clerk’s office in your new town. You can learn about any leash laws, licensing rules, limits on the number of pets per household, and zoning laws that may prohibit specific animals in residential areas, such as laws against specific breeds. Apartments & Condos. Most apartments and condo management companies will be able to tell about their specific pet regulations with a simple phone call. Usually, there’s a restriction on the size of the animal allowed within a unit as well as a fee for ownership. Health certificates. Many states require a health certificate for dogs and some require it for cats and other pets, as well. Permits. This usually applies to exotic pets only, but also may apply to certain dog breeds in certain places or to particularly large animals. You may need to purchase a permit before these types of pets can legally reside with you. Ask your veterinarian for help with the application process. Moving can be stressful for your pets, but with these tips you’ll know exactly what to do to comfort them. If you and your furry friend need help moving in the Toledo area, give Stevens Toledo a call or fill out our online form for a free quote.